AVERY elle-stamp and die storage pockets: small. Securely store your stamps dies stencils and more. This package contains fifty 5x5 inch storage pockets. Imported. 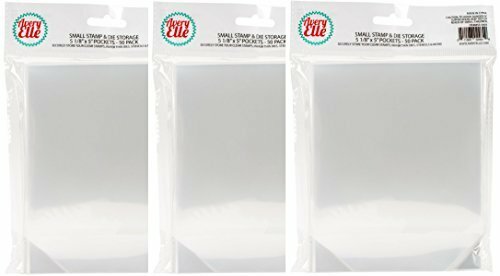 Each pocket will fit two standard 2 x 3 inch clear stamp sets. 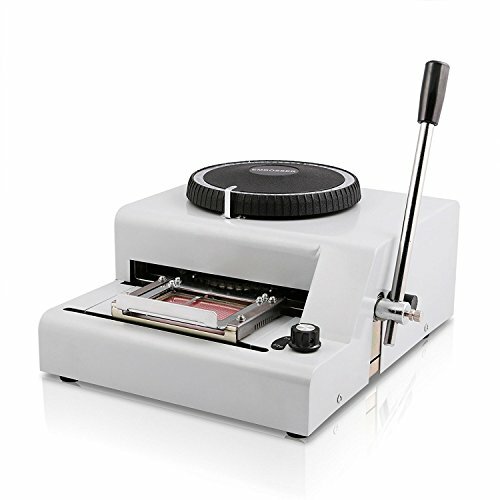 This manually operated dog tag embosser is the necessary equipment of tag's postproduction and processing, which is used to press out the outstanding letter of alphabet and numerals on the surface of dog tag to make it identified and exclusive. 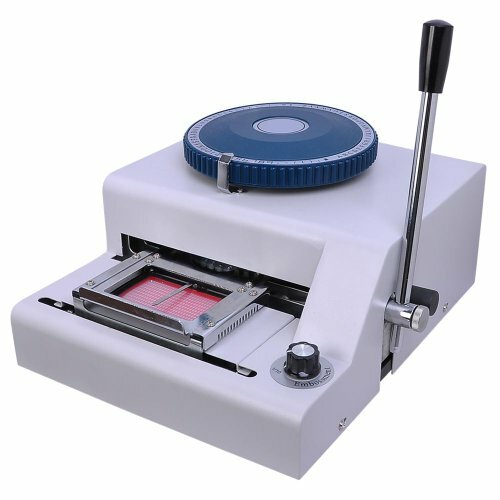 Metal Tag Stamping Machine- This manually operated dog tag embosser is the essential equipment of dog tag's post production and processing. 1.Please use the PVC card(85mm x 55mm) CR-80 standard. 2.When turning the characters plate,please don't drop down the hand-haft. 3.When switch the embossment size, please ward off the card frame slightly to avoid damage. 4.Never put hand or other hard objects into the machine. 5.Please move the card frame to the left end when not using the machine. 6.If the imprinted character may be deeper or shallower,undesirable,then it can be adjusted by adjusting screw in the regulation. Character depth can be adjusted to users specifications by adjusting portion located towards the bottom of the machine (Hardware is included. Pvc card embosser is the necessary equipment at the end of the process of producing pvc card, which is perfect for personalization of your vip cards, club cards, membership cards, gift cards etc. It makes pvc cards identified or exclusive by printing convex characters on them. Features: 2 correcting characters for error correction, to press small characters or large characters flat character depth can be adjusted through regulating port located in the bottom of the machine (hardware is included.) Specification: operation mode: manual applied work piece: normative pvc card, that be 3-3/8" x 2-1/8" ( 85.5Mm x 55mm ), internal 70 code characters (refer to the picture on the left): 26 capitalization case of English letters, 20 capitalization & lower Arabic numerals, 8 small symbols, 14 large symbols, 2 correcting characters (1 for small characters, 1 for large characters), 2 intervals: 1/7" and 1/10" (1/10" only for small characters). 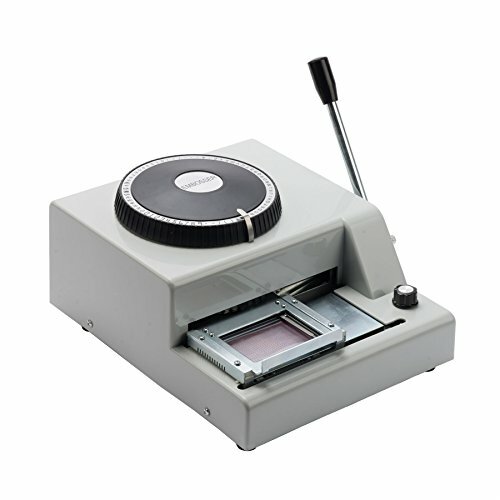 This Manual PVC Card Embosser Machine we offer has the characteristics of heavy duty reliable structure, accurate orientation, small volume, beautiful appearance and convenient operation. Compared with electric embossing machines, this manual machine is more economical and suitable for small batch. 11 Lines of embossing, 7 or 10 characters per inch. Please use the PVC card (85 mm x 55 mm) CR-80 standard. Indicator and sample card for raised type location indication. Character depth can be adjusted to users specifications by adjusting portion located towards the bottom of the machine. These stamp and die storage pockets are archival safe and are made of a clear/transparent 4 mil plastic. Securely store your clear stamps, wafer thin dies, stencils, embossing folders and more. 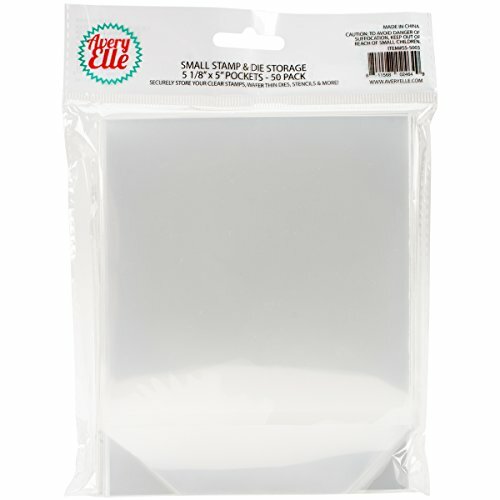 The pockets are a great way to store your Avery Elle clear photopolymer stamp sets and custom steel dies. 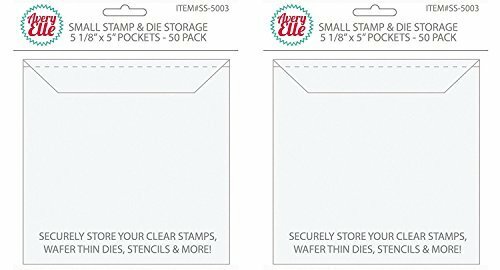 Each pocket will fit two standard 2 x 3" clear stamp sets. Store the pockets in a storage basket/bin or clip them up if you wish. Each pocket measures 5 1/8" x 5" and includes a flap that tucks in to keep your stamps and dies secure in the pocket. For greater stability, consider taking the stamp set out of the retail packaging and tape it to a sheet of card stock. Slide the stamp set/card stock sheet into the pocket. Each package contains 50 pockets. Two packs are included for a total of 100 pockets. Excellent sturdy quality. Archival safe. We endeavors 100% customer satisfaction service and experience. If you receive damaged or wrong items,please contact us with attached pictures about the problem, we will provide you a satisfactory solution within 24 hours. To Make Sure the Size You Choose Fits As expected.Please refer to our size suggestion description carefully (Not the Amazon Size Chart). If you are satisfied with our product or service,please leave your positive feedback! Hope you have a nice shopping experience at WUAI! Thank you! 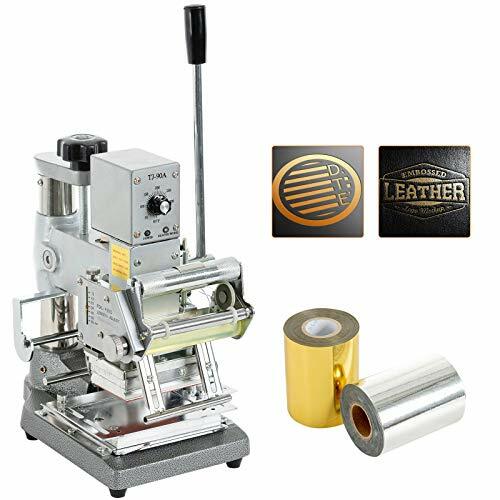 This hot foil stamping machine is designed to print or stamp logos, patterns and texts on all kind of PVC cards -Credit cards, VIP cards, bank cards, club cards, membership cards, gift cards ..-, and also paper, leather, plastic, cloth and others. Furthermore, this bronzing machine Comes with two stamping foil papers -silver and gold-. Feed the stamping paper into the stamping paper holder: Take out the stamping paper holder, loosen the plastic round cover, put in the stamping paper roll, replace the plastic round cover and replace the stamping paper holder into the machine. Pull the paper to the holder: Install the stamping paper according to the arrow-headed direction and pull it in clockwise direction. Firstly roll the external side of the back locating rod of the stamping, secondly stride over the external side of the front locating rod, then pass through the position between the rubber paper winding shaft and the paper pressing shaft in the clockwise direction, thirdly roll the stamping paper on the paper collecting shaft and fourthly lock with spring tab and turn the external knob of the rubber shaft to straighten up the stamping paper.  Multi-use - SUNCOO hot foil stamping machine can be used for various materials such as: Alabaster paper, leather, PVC cards, cloth, soft gelatin (100 -150 ), plastic, ebonite, wooden products (150 -180 ). And it comes with hot foil paper (Silver and Gold). 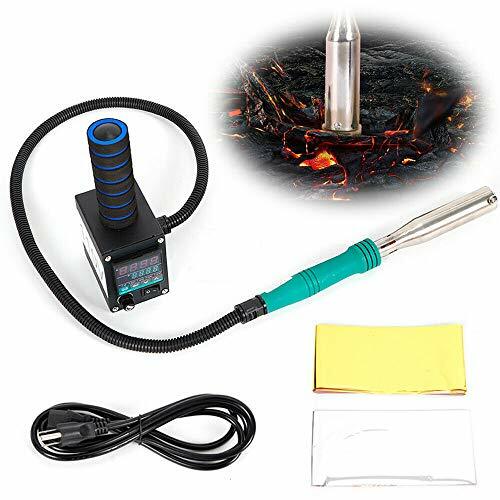  Easy Operations - Switch the power on, adjust the temperature (please refer to the manual), then wait for the working light to turn from red to green (the heating plate reached the temperature you have set). After that, all you still have to do is enjoy DIY stamping with your bronzing machine.  Precise Thermostat Control - Thanks to the constant automatic temperature control, the light signal of the hot foil printing machine will change colors frequently during the stamping operation as sign of its current operating state, which will not affect the stamping process.  Solid & Sturdy Structure - The hot foil printing machine is made from high quality steel, and its lever's design is perfectly convenient for powerful pressure so that the stamping result would be even and professional.  Characteristics - Power Supply: 110V, Power: 300W, Maximum stamping area: 60mm x 90mm, 2 foil paper are provided as gifts (Silver & Gold ). 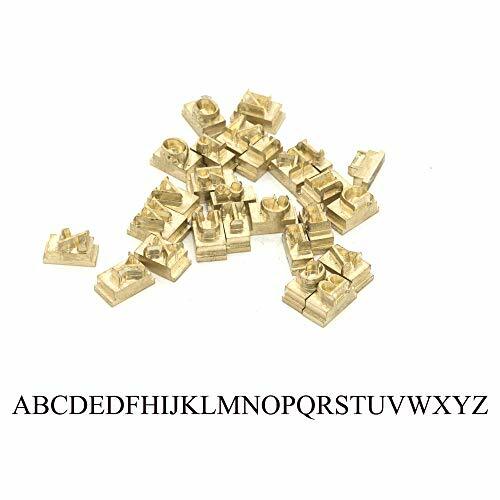 Spell out names or words with these handcrafted block letters. These wood letters are sure to enhance the decor of any room in the home. 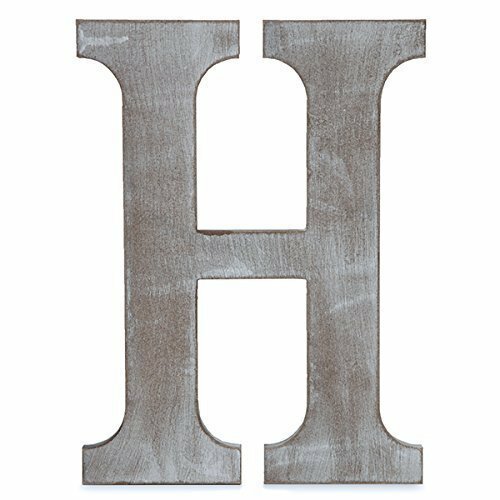 Available in charcoal grey or painted white, each wood letter stands out on its own. The back of the block letter has a slot for hanging as a wall letter. Display the wood letters on a mantle or shelf for a personalized touch. All wood letters are uppercase. Letters vary slightly in width. Back of letter has velcro that attaches to our small wood slat board (Model 3300B or Model 3300G). The back of the letter also has a slot for hanging; mounting hardware not included. Brand: The Lucky Clover Trading | Manufacturer: The Lucky Clover Trading Co. Description: Ideal for emboss leather, wood products, handicrafts, handbags purses, stickers, stationery, footwear marks, plastic packaging, leather embossed branding, car seats, mobile phone sets, paper invitations, business cards, notes, furniture, branding, recipes gilt, gilt frames plastic stamping etc. 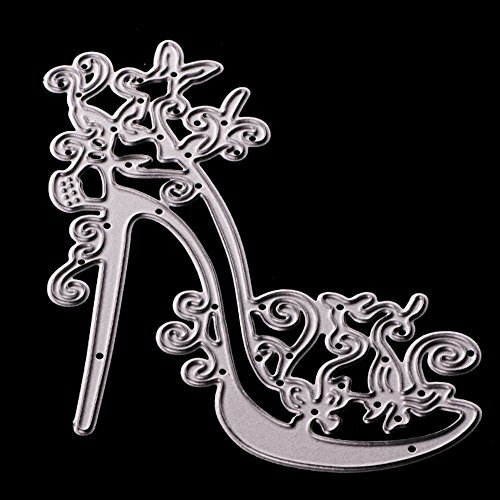 WIDE APPLICATION Embossed leather, wood products, handicrafts, handbags purses, stickers, stationery, footwear marks, plastic packaging, leather embossed branding, car seats, mobile phone sets, paper invitations, business cards, notes, furniture, branding, recipes gilt, gilt frames plastic stamping etc. 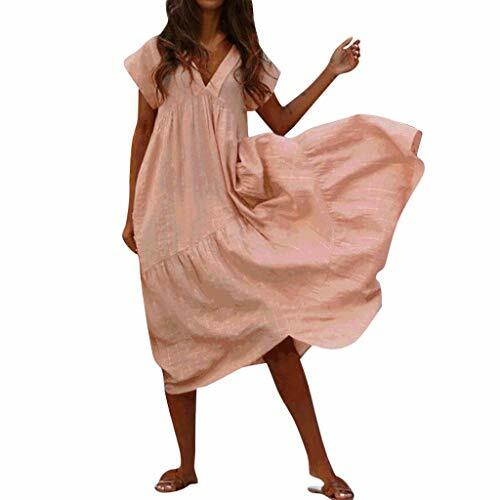 TEMPERATURE RANGE 0-300 degrees Celsius free setting; Paper:85-120 , Soft plastic:75-85 , Hard plastic:35-100 , Man-made Leather:75-85 , Creasing temperature: cowhide 120-150 , Soft PVC:65-80 , Synthetic Leather:160-180 Wood mark:350. 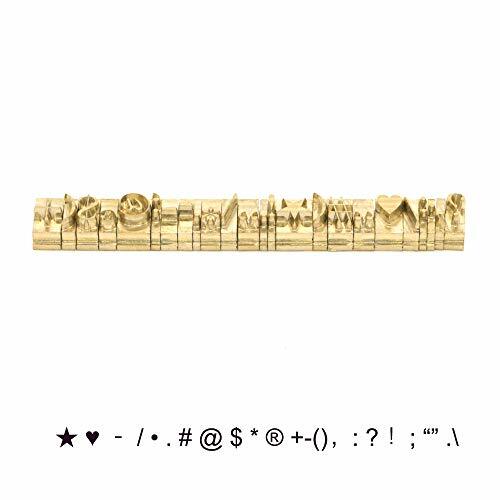 Spell out names or words with these handcrafted block letters. 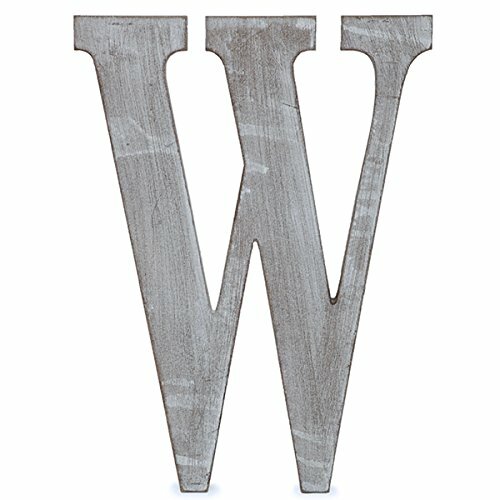 These wood letters are sure to enhance the decor of any room in the home. 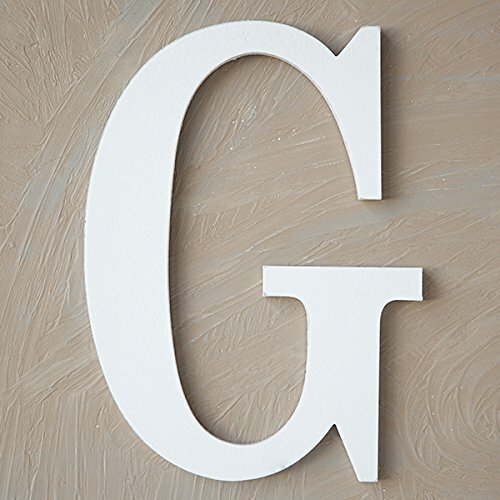 Available in charcoal grey or painted white, each wood letter stands out on its own. The back of the block letter has a slot for hanging as a wall letter. Display the wood letters on a mantle or shelf for a personalized touch. All wood letters are uppercase. Letters vary slightly in width. Back of letter has velcro that attaches to our small wood slat board (Model 3300B or Model 3300G). The back of the letter also has a slot for hanging, mounting hardware not included. Dimensions: 24"H x 0.5" thick. Material: wood and color: charcoal grey. Item Package Quantity:1 AVERY elle-stamp and die storage pockets: small. Securely store your stamps dies stencils and more. This package contains fifty 5x5 inch storage pockets. Imported. They are archival safe and are made of a clear/transparent 4 mil plastic. Each pocket measures 5 1/8 x 5 inch and includes a flap that tucks in to keep your stamps and dies secure in the pocket. 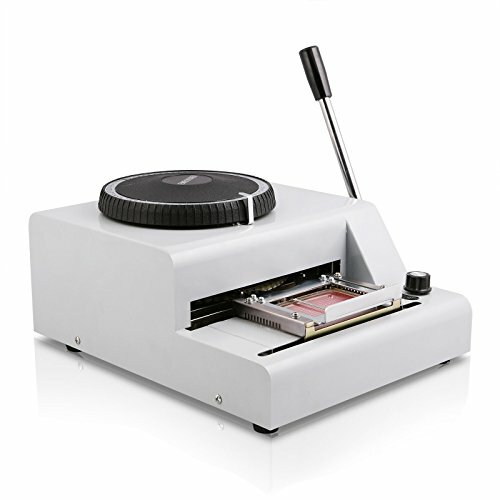 Securely store your clear stamps, wafer thin dies, stencils, embossing folders and more. Our PVC card embosser lets you create your own membership cards, VIP credentials, gift cards and more. With a durable code character dial that provides 72 characters, this embosser makes it simple to show off your business in eye-catching ways. 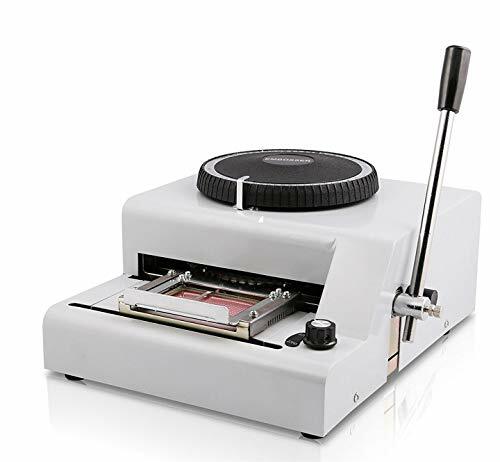 The character dial on this card embossing machine offers a realistic, delicate effect that highlights the raised letters, numbers and symbols. With no training required, you can quickly implement new frequent-visit and membership cards, helping you grow your business and brand recognition. 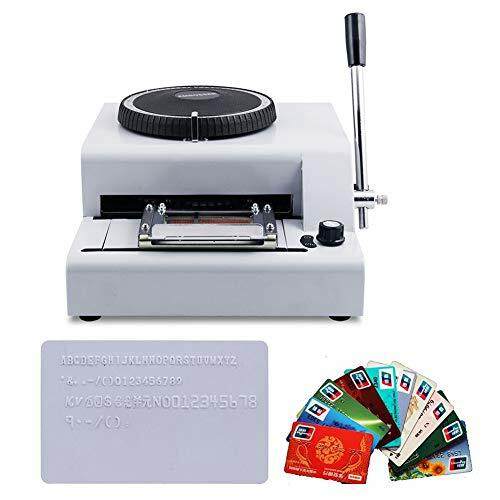 72 CHARACTERS DIAL, made of heavy duty steel construction, this 72 characters manual PVC card embossing machine can stand up to countless years of use. ADJUSTABLE EMBOSSER & CORRECTING CHARACTER FOR CONVENIENCE, embosser depth can be adjusted with the enclosed tool, offering more delicate and realistic effect; 1 correcting character for error correction; indicator & sample card for raised type location indication. UNIVERSAL COMPATIBILITY, our embosser is compatible with ISO international credit card special characters, and works well with standard 85 x 55 mm (3 1/3 x 2 inch) plastic cards. 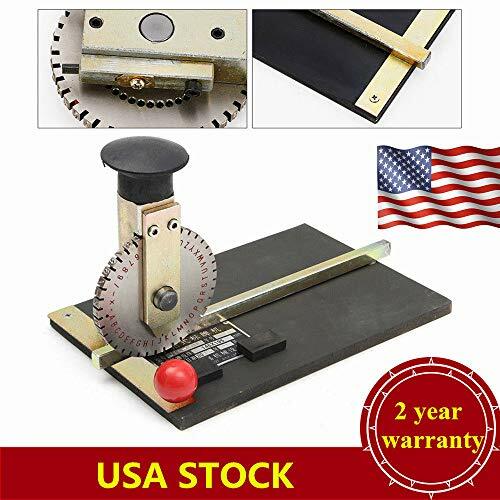 2 GEARS FOR WORD SPACING GAP, this card embosser comes with 2 gears for word spacing gap: 1/7 inch (for big characters), 1/10 inch (for small characters). EASY OPERATION, featuring steady structure, accurate position, small volume, and sleek appearance, our embosser is easy to use with no skills training required, just turn the dial to the character you want and pull the lever. Embossing machine 72 characters manual , introduction , this manual PVC card embosser machine we offer has the characteristics of heavy duty reliable structure, accurate orientation, small volume, beautiful appearance and convenient operation. 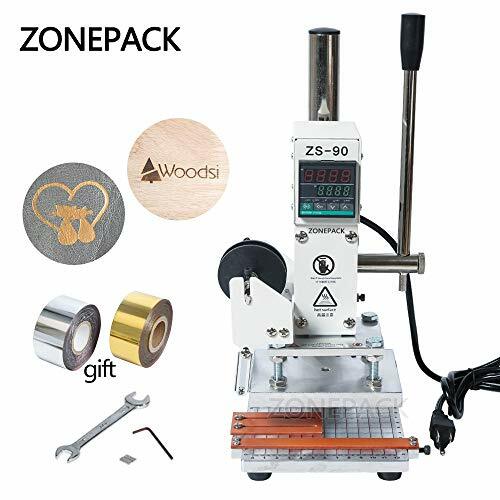 Compared with electric embossing machines, this manual machine is more economical and better suited for small batch or personalization jobs. Features , please use the PVC card(85mm x 55mm) CR-80 standard. Indicator and sample sard for raised type location indication. 11 lines of embossing, 7 or 10 characters per inch. Heavy duty steel construction. Character depth can be adjusted to users specifications by adjusting portion located towards the bottom of the machine. Specifications: Capital English letters A - Z, upper and lower Arabic numbers 0 - 9, small symbols: . - () , large symbols: M V D J $ n o - / : , modify planishing symbol , 340 300 180 mm, net weight: 8.8 kg. Create beautiful embossed designs for cards, invitations, and more with this kit and your Martha Stewart Crafts Heating Tool, sold separately. 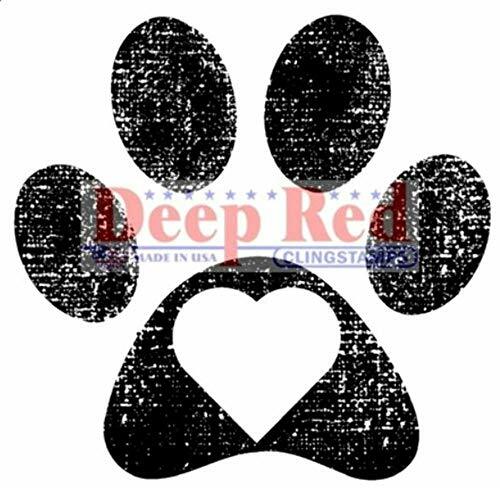 Stamp image with embossing pad or a pigment ink pad. Sprinkle powder over stamped image. Shake off excess and return to container. 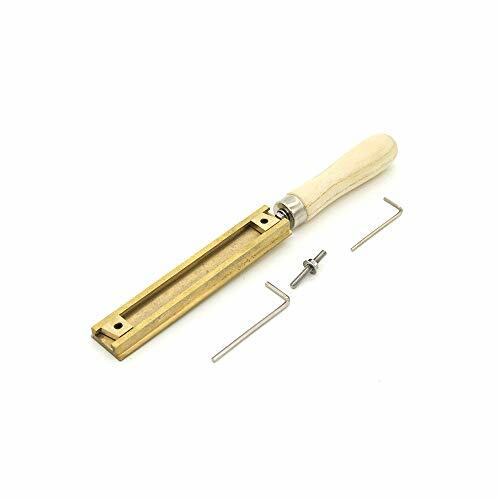 Use heating tool to melt powder until it has a raised, glossy finish. Let cool 30 seconds to set. All the products are shipped from US warehouse(CA or NJ)! Various shape signs with a shape length of less than 185 mm and a height of less than 2 mm can be imprinted. The utility model has the advantages of small volume, light weight, convenient and convenient operation, neat printing and writing, uniform and clear lines, and various font sizes. We have many punch templates that are compatible with all punching and embossing machines.Please Please refer to the Product description for more details on the product. WOCACHI promises to provide our customers with professional high quality products and friendly customer service. We are responsible for each product sold by us. Quality assurance is provided by us, and your benefits are protected. Hope all of our customers can enjoy our dress and services! 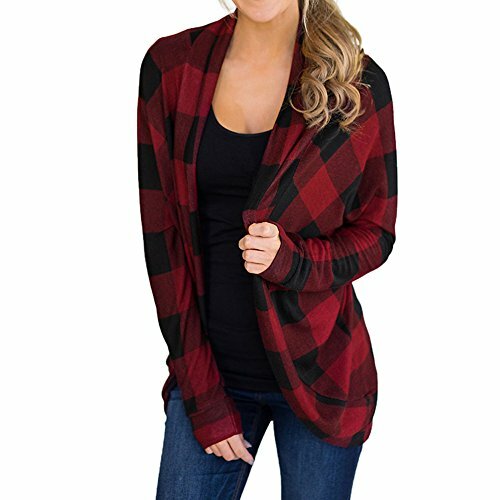 This casual blouse V Neck design ,Comfortable regular T-shirt,Lightweight fabric. Loose fit silhouette. If you have any dissatisfaction with your item, please email us before you leaving any 1 or 2 ratings, negative feedback.Your satisfactory is always our Priority, We will do our best to resolve the issues. FLAT MIRRORED LENS,NON-POLARIZED Lens made of resin material in lightweight, scratch resistant, and high visible light perspective to make your vision clearer, reduce surface reflections; also non- polarized reduce headaches for using. HIGH QUALITY MATERIALS - sunglasses is made of high quality metal material and spring hinges that is durable enough for long time using. 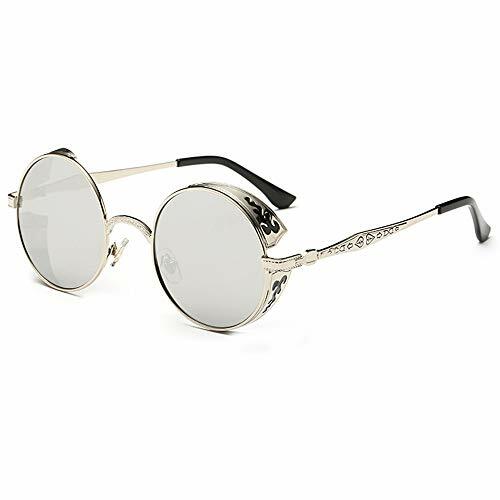 This oversized sunglasses is suitable for both male and female, and it is suitable for any climate and weather conditions. This pair of sunglasses is made of legs, which is high ductility, super light, excellent elasticity and durable. These polarized sunglasses for men avoid breakage while engaging in driving, fishing, climbing or other recreational activities. Perfect fit to your face, you can hardly feel them on your face. Lightweight Polarized Sunglasses - blocks harmful UVA/UVB & UVC Rays. Reduce glare reflected off the roads, snow, bodies of water, and other horizontal surfaces. Restore true color, eliminate reflected light and scattered light and well protect your eyes. Polarized sunglasses can cut glare and haze, so it can reduce eye fatigue. Durable and easy to clean. They would be a nice addition to a crafter's stash. Applicable to fabric, wood, paper, scrapbooking card-making, posters, notepads, journals. These are excellent for many different kinds of projects. Easy To use - Detail stands out very nice. The design goes right to the edge of the stamp making it easy to see where the placement should be. Clean it with a baby wipe and damp sponge. How they really shine is creating your own background. Using stamp you can easily create a own stamp painting.Beautiful lines, creates beautiful under brush for paintings on card fronts very natural. The marking position and the line spacing are manually adjusted by the mechanical mechanism;Different word heights can be achieved by replacing the dial. Suitable for PVC, PU, leather, paper, etc.